Carrion Crow (Corvus corone). Taken at Farmoor, Oxon., on January 22nd 2017. Taken at Farmoor, Oxon., on January 22nd 2017. The Carrion Crow is an all-black bird. The closely-related Hooded Crow has been split off as a separate species. 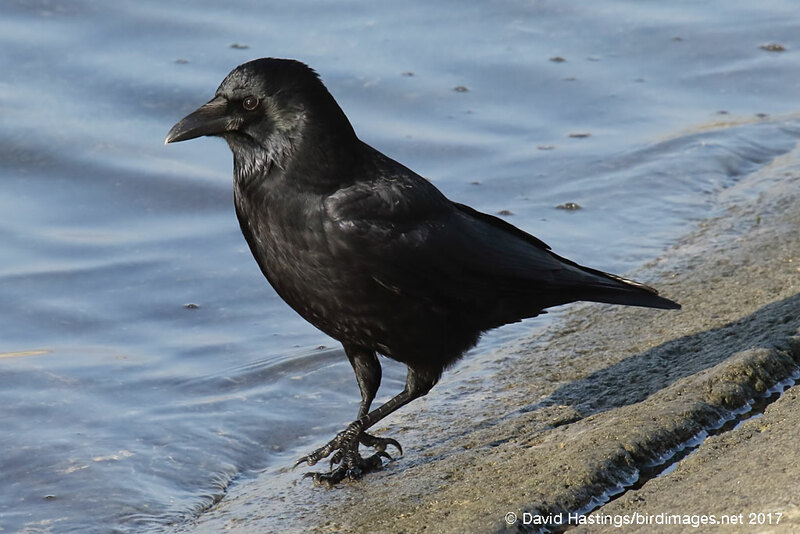 Carrion Crows can be found in England, Wales and southern Scotland. They are absent from Ireland. They live in a variety of habitats, from the centre of cities to upland moorlands, and from woodlands to seashore. They build nests in tree crowns. Carrion Crows are fairly solitary, usually found alone or in pairs. There are about 1 million breeding territories in the UK.